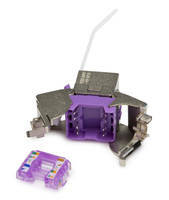 Amsterdam, NL, Feb. 4, 2019 - Platinum Tools® (www.platinumtools.com), the leader in solutions for the preparation, installation, hand termination and testing of wire and cable, is proud to announce it will showcase the new Keystone Cat6A Jacks (p/ns 751-1 shielded / 752-1 non-shielded) during ISE 2019, held in Amsterdam from Feb 5-8 at RAI Amsterdam, booth #14-K165. The line is now available. The new Keystone Cat6A Jack’s tool-less design reduces tool cost, since no punchdown tool is required. The color coded wire guide ensures pairs stay in the proper order for fast, easy terminations. This keystone jack is also designed to be reusable, and comes in multiple colors, so it can be used to replace old, worn out jacks or be integrated into newer projects with little difficulty. Manual and Pneumatic Hydraulic Jacks offer 5 pump options. Aluminum Service Jack lifts up to 1.5 ton vehicles. Miniature Hydraulic Jacks lift 2,000 times their own weight. Mechanical Jacks lift loads in confined areas.